Rivers are the world’s lifeblood, enabling people to fish, farm, build cities and economies. Throughout history, societies have gone to great lengths to maximize the benefits of rivers by taking advantage of every drop. We build dams, levees, diversions, and generally alter natural flows by maximizing on areas of land for irrigation, energy production (electricity), drinking water, industrial water supply and transportation of goods and people. While such infrastructure has fuelled development, it has also fragmented rivers, risking their ability to provide the services people and nature rely upon. In many places, connected, free-flowing rivers are crucial for carrying sediment downstream, balancing nutrients in soils, maintaining floodplains that protect against extreme weather events, and providing recreational opportunities or spiritual fulfilment. WWF and McGill University, together with representatives from academia, civil society and the private sector, developed a technical definition for “free-flowing rivers” and a methodology using global datasets to identify such rivers around the world. The definition and methodology can be adapted for more local use, bringing in cultural nuances and finer-scale data to understand river connectivity within regions, countries or basins. A free-flowing river is a river that is largely unaffected by human-made changes to its flow and connectivity. WWF Zambia and partners have embraced the process to map the nation’s remaining free-flowing rivers. As Zambia grows, many rivers will be tapped for infrastructure to meet rising demands for food, energy, and water. The Zambian inventory of free-flowing rivers will identify rivers that remain well-connected, support important biodiversity, and provide communities with food and livelihoods. This information will help the government, people, investors, and conservation organizations shift to a science-based, basin-level planning approach that balances development with protecting critical rivers. This mapping of free-flowing rivers will inform the location of Water Resource Protection Areas, or wetlands that are particularly important for the country’s future water and food security. 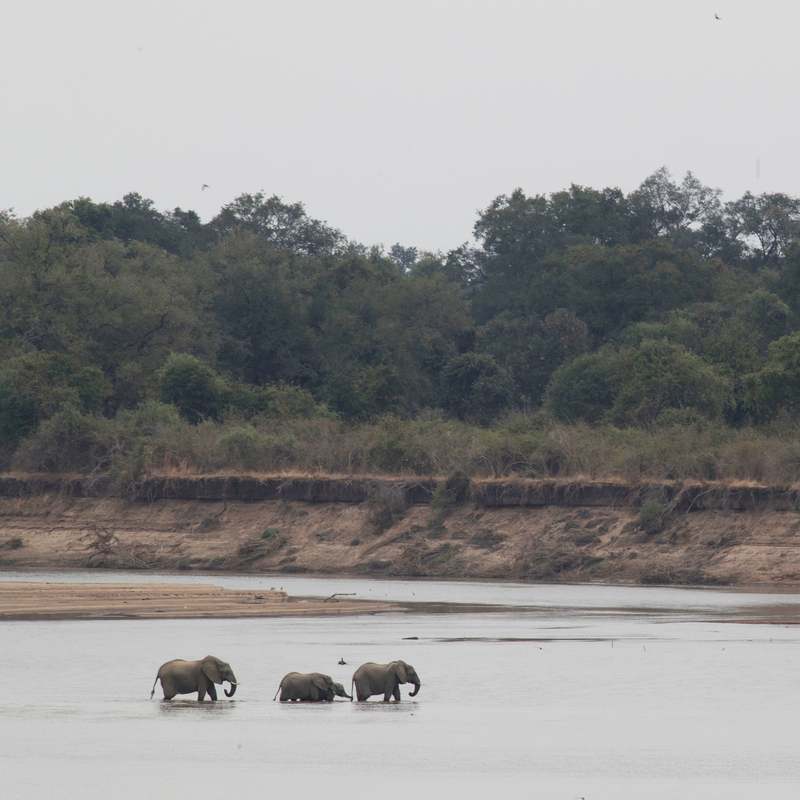 The Luangwa, a major tributary to the Zambezi River, was identified as one of the last free-flowing rivers in Zambia and is one of the largest unaltered rivers in Southern Africa. It’s one of Zambia’s greatest assets and provides our country with abundant natural capital and ecosystem services. The Luangwa River, famous for its massive buffalo herds, also supports some of the highest concentration of elephants and hippos in Africa. It’s the last refuge for reintroduced black rhinos in Zambia, and a host of other species of national and economic importance such as lions, wild dogs and over 400 species of birds. It boasts of endemic sub-species such as Thornicroft’s giraffe, Crawshay’s zebra and Cookson’s wildebeest. The valley of the South Luangwa River is nicknamed the “Valley of the Leopard” as the big cats can be found lurking in bushes. South Luangwa contributes largely to Zambia’s Tourism sector and creates employment for the locals, with jobs varying from safari guides, lodge employment to construction work and farming. Around $27 million dollars was generated in the area from Tourism alone between 2015 and 2016. Local farmers and their families benefit a great deal from on the Luangwa River’s floodplains, where they grow organic crops such as lettuce and herbs. This type of farming has minimal environmental impact but generates significant revenue for them and their families. In addition to farming, many communities along the river depend on if for its fish which they also generate income from. Other forms of local economy include the wild fruit industry and local crafts industry that depends on the harvesting, making and selling crafts made from the river reeds such as mats, baskets and many others. The river also sustains the lives of the people who live on the banks, providing safe clean drinking water and a source of recreational activity. The river’s natural flows are also designed to absorb the sudden influx of water (flash floods) received during the rainy season, protecting the people who live on the banks, in doing so. Unfortunately, the ecosystem services the river provides are now threatened by hydropower development, deforestation and commercial agriculture. The most imminent challenge is a proposed dam at Ndevu Gorge, which would transform the river and put all who depend on it at risk. Particularly, fragmentation caused by dams is a major threat, especially to species, e.g. fish, that migrate for food, reproduction or new habitats when seasons shift, and communities close to the river. 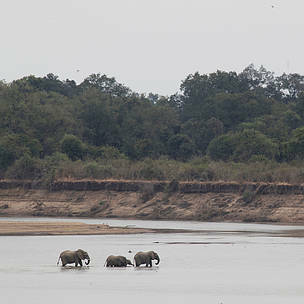 WWF, together with partners, are launching a campaign to keep the Luangwa free-flowing for people and nature. Please visit our website for more information.